Photographs are informed by considered and intentional choices. These choices are suggested by a need or desire to secure a moment, an experience, a revelation, a curiosity, or a discovery on film and contain it as an object in a photographic print. The shutter release is not simply pressed and the photograph taken, but rather made, through a process of mental construction – visualization – interpreting the actual, reality, the thing itself and translating it into a visual language, a photographic language, through the intentional use of aesthetic choices unique to the medium. This mental construction elaborates, refines and embellishes – from looking and the gathering of visual information to seeing and a careful study, analysis and organization of that information. This attention to seeing, the thing itself, the detail, the frame, the vantage point, time, light and focus, will resonate with the photographer’s visual and conceptual concerns on film and in the print. However, these formal considerations with image capture and optimization need to be translated to the photographic print where the importance of tone and description will further articulate the visual sensation and intellectual attention. These tonal and descriptive possibilities can be realized by utilizing the Zone System to capture the best tonal information possible in the camera and make crafted photographic prints that reveal a full, dynamic range of tones. It is this range of descriptive possibilities, the effects of image capture, optimization and the role of light, that will further communicate the possibilities of visual engagement and pleasure (beauty) and the interpretive meanings suggested. 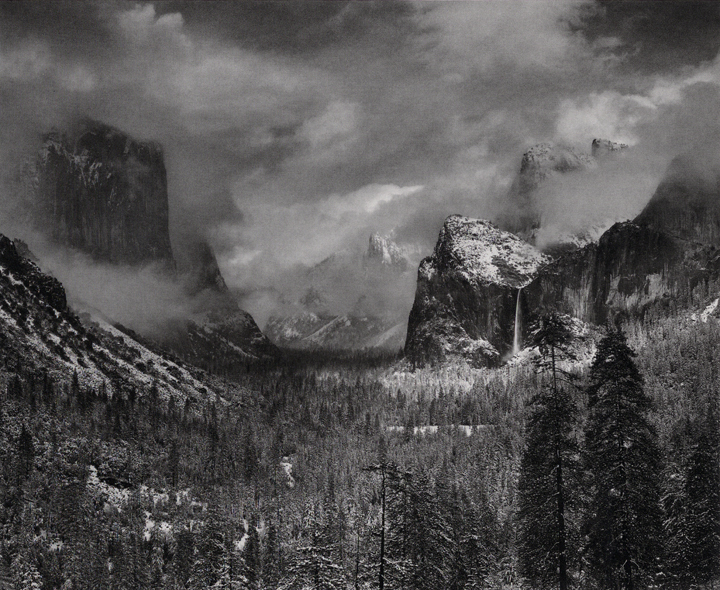 Developed in 1940 by Ansel Adams with the cooperation of Fred Archer (an instructor at Art Center in Pasadena), the Zone System is a method for measuring and controlling the various luminance’s (tonal values) of a subject as visualized to be represented in the final photographic print, whether that representation is literal or a departure from reality. The Zone System divides an image into 11 zones of tonal values from the darkest value (Zone 0 – black) to the lightest (Zone X – white). Zone V represents 18% middle gray, commonly used as a gray card. While the full range of tones is measured within the 11 zones, the dynamic range (Zone I – Zone IX) represents those tonal values that can reveal descriptive qualities in the print, including shadow and highlight detail. Visualization and using the Zone System with careful attention to image exposure and image optimization provides the photographer the ability to visualize how tonal values will appear in the photographic print. Putting the Zone System into practice, it is important that light meter readings are done carefully and consistently when visualizing the subject values and their relationship to the exposure zones that will produce the desired dynamic tonal range in a print. The light meter needs to be able to measure the brightness range of different areas of the subject and relate the different values to one-stop exposure intervals or exposure values (EV). Exposure values are calibrated within the light meter and refer to specific shutter speed/aperture combinations. Each increase or decrease in exposure value is equal to twice or half as much light measured. It is helpful to measure areas that are more or less uniform in tone. The procedure of reading zones with the light meter can be easily utilized based on the understanding of middle gray (Zone V) in relationship to other zones. After measuring the range of exposure values of the subject, it is common to set the exposure to a value in the middle of the range. It is necessary to consider the ASA setting when determining exposure values. The characteristic curve provides a visual profile of tonal information in the photographic image as recorded on film, paper or a digital file. The toe of the characteristic curve represents the low luminance areas (shadow detail) of the subject and low densities of the negative, or Zones 0 – III. This is the film’s first sensitivity to light or its threshold of sensitivity. The straight line of the characteristic curve represents the middle luminance areas of the subject and middle densities of the negative, or Zones IV – VII. The ratio between increased exposure and increased density is uniform on this part of the curve. The shoulder of the characteristic curve represents the high luminance areas (highlight detail) of the subject and high densities of the negative, or Zones VII-X. As the maximum possible density is approached, the steepness of the curve falls off which means that increasing exposure results in a diminishing increase in density. In looking at the histogram of the digital file (image), the Curves or Levels commands or the Histogram palette can be utilized to view all of the tonal values and zones with the shadow value = 0 and the highlight value = 255. 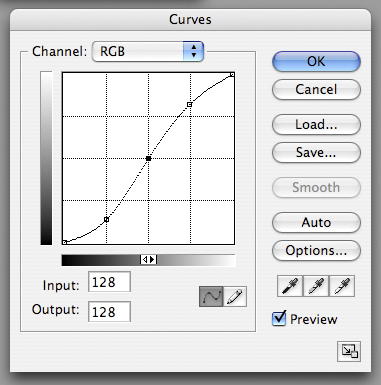 With the Curves command, the brightness of a specific tone or tonal zone can be altered. Using the Eyedropper tool, any part of the image can be measured and the value will show up on the curve as a small circle. With the use of the Levels command, to move the values in Zone V toward Zone IV in order to make the image brighter, the Brightness/Contrast slider would be moved towards the left on the histogram and vice versa in order to make the image darker. Make two (2) refined photographic prints in the darkroom from a black and white negative that reflects optimum image exposure and film processing. Utilize the variable-contrast filters as well as such printing strategies like split-filter printing. Use the “Printing Record” to record each step in the printing process, including time, aperture and filter notations. Use the boxes on the “Printing Record” to sketch out the final secondary areas (burning and dodging). With the digital grayscale file, use the Curves command and the Eyedropper tool to measure and record the tonal value for each zone in the Zone System. With a Sharpie pen, mark the tonal value and zone on the second print. 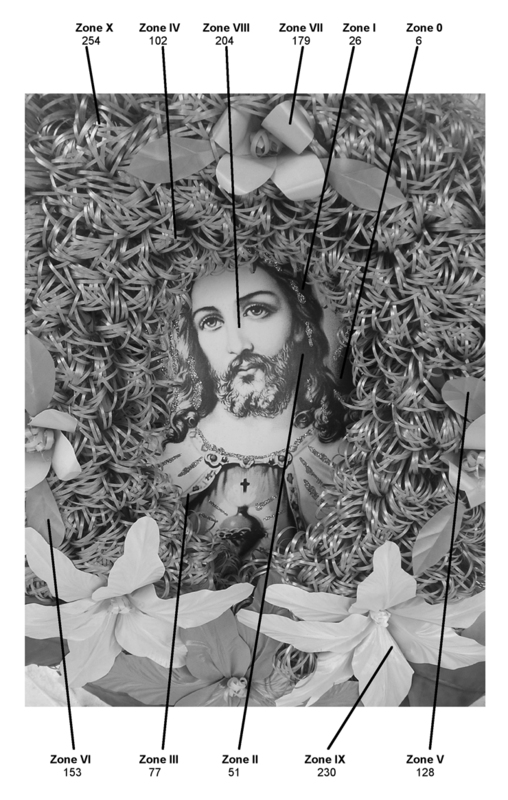 During a class lab session, make a digital photographic print from the scanned file. Turn-in prints in a manila envelope for evaluation and feedback.